WIN! Canon EOS R, Mount Adapter EF-EOS R and Canon ambassador masterclass - worth £2,350! Fantastic Canon prizes to be won. It’s your chance to win! Enter this amazing competition to win a new full-frame mirrorless Canon EOS R body and Mount Adapter EF-EOS R.
You also win a place on a Photography Experience with Canon Ambassador, professional landscape photographer and regular PhotoPlus columnist, David Noton. 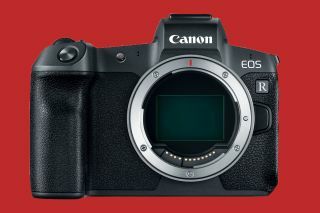 The 30-megapixel full-frame Canon EOS R has an impressive spec list whilst offering excellent image quality and groundbreaking AF technology. Used in conjunction with the compact Mount Adapter EF-EOS R, it enables you to use your existing Canon EF-S and EF lenses on the EOS R.
To enter this competition, please click below and answer a question about the Canon EOS R! This competition is available to UK entrants only. The closing date for individuals entering the competition is 11 January 2019. Employees of Future Publishing, Canon (UK) Ltd and its subsidiary companies, their families, agents and other parties directly involved with this promotion and the prize are not eligible to enter. By entering this free prize draw, all participants are deemed to have agreed to be bound by these Terms and Conditions unless notified otherwise in writing. Participants can only enter into the prize draw once. Multiple entries will not count. At the end of the entry period, one winner will be selected at random and will be contacted by Canon UK. Canon UK will liaise between the winners and David Noton to arrange a mutually convenient date for the Photography Experience which will take place at the Canon head office in Reigate. The winner will be responsible for travelling and any other costs associated with attending the Photography Experience. The Prize is non-transferable and no cash or credit alternatives will be substituted for the prize on offer. In the event that the prize offered is unavailable due to circumstances beyond our control, Canon reserves the right to offer an alternative prize of equal or greater value.